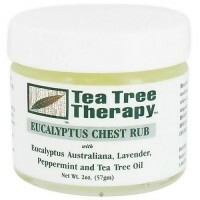 Temporarily relieves cough due to common cold, minor muscle aches and pains. On chest and throat, temporarily relieves cough due to common cold. On muscles and joints, temporarily relieves minor aches and pains. The active ingredients in Vicks VapoRub work naturally through the inhalation of medicated Vicks vapors to relieve coughing due to common cold. 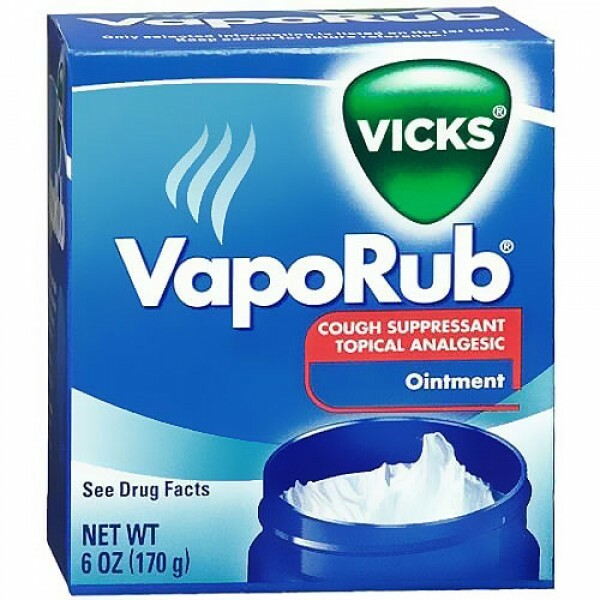 Vicks VapoRub also relieves minor muscle aches and pains. VapoRub is applied externally, so it doesn't interact with other medications the way pills can. repeat up to three times per 24 hours or as directed by doctor. Children under 2 years of age ask a doctor. persistent or chronic cough such as occurs with smoking, asthma or emphysema. add to hot water or any container where heating water. May cause splattering and result in burns. muscle aches and pains persist more than 7 days or come back. cough lasts more than 7 days, comes back, or occurs with fever, rash or persistent headache. These could be signs of a serious condition. If accidental ingestion, get medical help or contact a Poison Control Center right away.